Adelaide-based company, Australian Welding Solutions (AWS) has signed an agreement to be official agents for American Welding Society. This partnership means U.S. Certifications are available throughout Australia and New Zealand for the first time. AWS has been providing advanced manufacturing skills, advanced welding education and Inspection services for 10 years. They have become the training organisation of choice for the oil, gas, defence, water and mining industries, with around 2,000 participants completing courses designed by AWS. 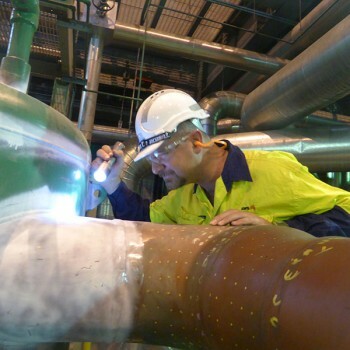 They are the only NATA-accredited (National Association of Testing Authorities Aust) welding engineering and welding inspection body in Australia, and the only welding inspection company in Australia who actively support research and development. With their history and credentials, AWS was the best choice as partner for the American Welding Society. The Australian manufacturing industry is in serious decline. At the same time, an increasing number of large construction projects in Australia have been specifying U.S. accreditation and standards. Local availability of these globally recognised certifications will provide increased employment opportunities for Australian workers on major projects both here in Australia and internationally. Local employers will save costs with no more need to import U.S. certified employees. Managing director of AWS, Neville Cornish, believes this new agreement represents a turn-around for the Australian manufacturing industry.